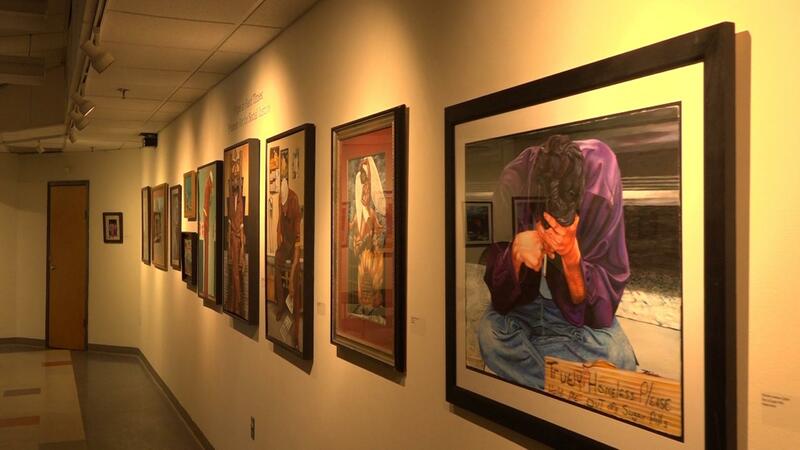 BETHLEHEM, Pa. (WLVT) - An organization called Art for Justice worked with community leaders to put on an exhibit showcasing artwork from prisoners on death row or serving life sentences. Ann Marie Kirk co-founded Art for Justice in 1997, with a man named Charles Lawson, who is currently serving a life sentence without parole. She said this exhibit is a way to steer kids away from prison, and start conversations about inhumane treatment of inmates. Reverend Janel Rice of Calvary Moravian Church said inmates should not be inhumanely treated, because they are people before anything else. “We have a duty and an obligation to care for each other as brothers and sisters, more so than as free or incarcerated individuals,” said Rev. Rice. The exhibit will be open through Apr. 21 at the Banana Factory in Bethlehem. It was put on through a collaboration between Art for Justice, The Moravian Church’s Eastern District, Moravian Seminary, and ArtsQuest. The exhibit is free and open to the public.